This one is a bit of a mixed bag, but I find myself enjoying it more than not. The latest issue featuring the Fawcett Universe is a love letter to the era. 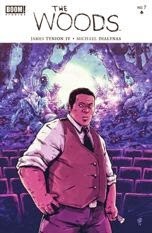 (Though it does have a few eyebrow raising moments at times...) Reading praise on various message boards about this issue, the overwhelming refrain was that the DC 52 needs more books like this. What we have here is what is intended to be an homage to the type of 70's one man against a corrupt patriarchal system as you might find in Walking Tall or Billy Jack. 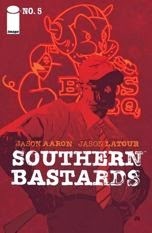 And if that was all it was, it would be pretty slight (even with the nice art by Jason Latour.) The thing that gives series more oomph is the focus on how the American Cult of Football obviates the sins of its heroes. In this Ray Rice/Steubenville era, the Southern Bastards is more topical than I suspect Aaron intended, but that just serves to give the story more gravitas. The premise of this series sounds like a SyFy young adult movie: A highschool of kids find themselves suddenly transported to a strange distant planet where they must forge new alliances to survive. I'm sort of a sucker for hooky premises and this one intrigued me enough to get the first issue. What's kept me coming back has been how Tynion reveals the backgrounds of the various characters while quickly revealing surprises and plot twists. This is definite not a one-idea young adult knock off, but a well thought out concept with some good world-building. It might seem strange to group these two as one item, but Robinson is interweaving storylines between the two titles via Jim Hammond, The Original Human Torch, so I'm counting them as one entity. 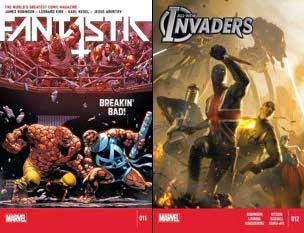 Amidst the endless desert of Avengers crossover titles that is the current Marvel Universe, these two titles are like an oasis. 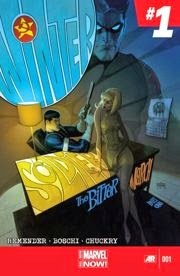 If you forgive the unfortunate detour into the Original Sins event which lasted two issues, both books have been great. 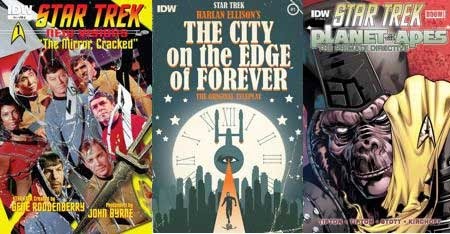 If you are a Star Trek fan, then IDW has something for you. Whether it's John Byrne's well made photo-comics using images from the original television show or the nicely illustrated version of Harlan Ellison's script for The City on the Edge of Forever. My latest buy is the no-brainer Planet of the Apes Star Trek crossover which I'm looking forward to reading as soon as I finish today's post! This series started off strong, but man has it lost steam. 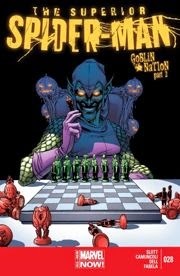 It almost made it into the BAD list, but what saves it is that because it comes out weekly, you're usually apt to get one or two good issues a month out of the series. Unfortunately, you do find yourself getting obvious padding from time to time. And let's not even discuss the abomination that is the Joker's Daughter. On the flipside, I like how they reintroduced The Spoiler. This tale of murder during 1948 Hollywood has all the trappings of something I would love, but my biggest disappointment is I've seen a lot of this done better in the books of James Elroy. 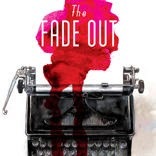 Still, putting that idiosyncratic criticism aside, Brubaker and Phillips are presenting a well crafted mystery in a era that's fun to visit, so I'll keep reading for now. 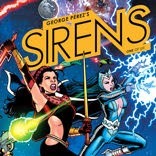 I enjoyed the first issue of this series, and read the second issue but somehow I've not been compelled to buy either of the latest two issues. I don't know. I think it was the killer Teddy Bear or something that probably caused me to loose interest. I bought the first two issues of this series when I did my State of Captain America comics article last April, but don't recall ever getting around to talking them. Here's the deal. This is supposed to be a period piece set in the groovy 60's or something, but instead, we get a confused story where people use mac computers and talk like they just stepped out of Starbucks. All I can think is that this story was retro-fitted for this series (or something) and the retrofit was half-assed. Or it was just half-assed from the get go. Y'know, there was a time when I was proud to defend Jonathan Hickman against naysayers who said his stories were too convoluted, confusing or slow moving. This series broke me of that. Between the over-saturation of the Avenger's franchise at Marvel and the constant themes of secret-histories and toyetic iconography that seems to infest Hickman stories, I think I'm done with his work for now. And that's my wrap up. What did you read in 2014 that you liked or disliked? Feel free to let me know! I wasn’t always a fan of “Arrow,” especially in the first season. Although “Arrow” has been pretty good in terms of action since the beginning, the dialogue was beyond atrocious during the early days as the show reveled in its CWness. There was Stephen Amell’s apparent allergy to shirts, Oliver’s doomed love with Laurel Lance (Katie Cassidy), and the most CW characters of them all: Oliver’s sister, Thea (Willa Holland) and their mother, Moira (Susanna Thompson). Now, it’s just a name, right? A little Easter egg for the DC fans and viewers of the Christopher Nolan Dark Knight films who remember that Ra's al Ghul just happens to be one of the greatest Batman villains of all time. It didn’t necessarily mean that we’d ever get to see Ra's al Ghul on “Arrow,” but the idea that he was out there really expanded the world of the show. Green Arrow doesn’t have the greatest rogues gallery in the comics, which is why “Arrow” has so liberally borrowed other villains from the DC Universe. John Barrowman was a terrific choice as Malcolm Merlyn, but Slade Wilson aka Deathstroke (Manu Bennett) was the only other adversary who really registered on the show... and he’s more of a Teen Titans villain than an enemy of Green Arrow. At least that was the case before Identity Crisis came along and tried to spark that rivalry between them. The point is that there was no clear choice for “the big bad” of “Arrow” Season 3 except Ra's al Ghul. It really had to be him, because the show had foreshadowed his appearance for almost a full season. If Fox’s “Gotham” had cockblocked that, it would have killed that momentum. That said, I’m not entirely sold on Matt Noble as Ra's al Ghul. The midseeason finale of “Arrow” Season 3 gave us our best look to date at Noble’s incarnation of the character. He’s not bad in the role, but I’m not blown away by this casting choice. From this point on, there are full spoilers ahead for the “Arrow” Season 3 midseason finale! If you’re still reading after this paragraph, I’m assuming that you’re up to date with the show. One thing that I loved about the midseason finale was that Oliver Queen was completely outclassed in the unnecessarily shirtless in the snow duel with Ra’s. The Demon’s Head easily disarmed Oliver and stabbed him with his own sword before kicking Oliver off of the mountain to his apparent death. But if anyone thinks that Oliver is really dead then they haven’t been reading enough comic books. The downside of Noble’s performance is that he didn’t demonstrate the force of personality behind Ra's al Ghul. This is a world class adversary who could teach James Bond villains a masterclass on truly epic villainy. Ra's al Ghul is the hero of his own story. 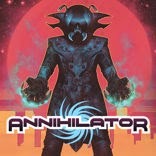 He wants to save the Earth... but he’s willing to kill nearly everyone on the planet to achieve that goal. In “Arrow,” that same sense of purpose isn’t coming across. Ra’s is just the leader of the League of Assassins, and it’s not clear if he has any larger agenda beyond that. There needs to be more animosity between the Arrow and the Demon’s Head. Their conflict just isn’t personal enough to resonate. Malcolm Merlyn is still coming off as a bigger villain because he represents a very real threat to Oliver’s family by his corrupting influence on Thea. It may go against all sense of logic and reason, but Thea’s murder of Sara Lance (Caity Lotz) is actually a great way to continue Oliver’s feud with Malcolm. Unfortunately, Thea doesn’t really have any agency in this storyline. Thea doesn’t know that she killed Sara because Malcolm drugged her with some previously unmentioned wonder plant that made her susceptible to suggestion. The “Arrow” writers really dropped the ball by not hinting at that plant’s existence until the episode that they sprung that explanation on us. That is the definition of cheap writing from the seat of your pants and making it up as the story goes along. In theory, an Evil Thea is something that could have been a lot of fun. But the show wants to have it both ways, by not fully committing to making her a villain and by keeping the old Thea around... and giving her the most annoying character ever as her new love interest in the form of Chase (Austin Butler). Seriously, I’d pay good money to see Chase get brutally killed by an arrow. It’s the same story with Laurel. The “Arrow” producers have been trying so hard to make Laurel happen for three seasons that they can’t step back and realize that it just isn’t working. The only tacit admission of their failure is the way that the writers have reoriented Oliver’s romantic feelings from Laurel to Felicity (Emily Bett Rickards). Personally, I hate the “Olicity” shipping, but it is the pairing that the majority of the show’s fans seem to gravitate towards. If the “Arrow” creative team had really been listening to the fans, they wouldn’t have written out Caity Lotz’s Sara Lance. She was the Black Canary that we didn’t have to wait three seasons for. Lotz was more convincing as a heroine and she had more charisma than Holland or Cassidy combined. Instead of signing Lotz as a series regular, they killed off the wrong Lance sister because the creative team is still trying to make the audience love Laurel and accept her as a heroine. But I think it’s too late for that. 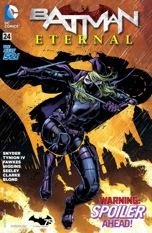 The next couple of episodes are supposed to put Laurel in costume as Black Canary, but Cassidy is working against three seasons of bad writing to try to change the audience's perception of Laurel. And let’s be honest, Cassidy’s performance hasn’t exactly been great. Compared to “The Flash,” “Arrow” has seemed strangely unsure of itself this season. Brandon Routh has been a fun addition to the cast as Ray Palmer, but The Atom feels even more out of place on “Arrow” than The Flash does. More than anything, I think that “Arrow” has lost its sense of direction. The only plots that have been driving this season forward have been Sara’s murder and Laurel’s supposed evolution into a heroine. Oliver Queen is being poorly served by his own show and even John Diggle (David Ramsey) has been reduced to the guy who’s trying to get Oliver and Felicity back together as a couple... just because he cares for them. That my friends, is about as CW as The CW gets. Regardless, a strong cliffhanger can make up for a lot of shortcomings. “Arrow” definitely had one of those in the midseason finale. The challenge for the show will be to deliver a resolution for that cliffhanger that doesn’t take a cheap way out. I’ll accept the existence of a Lazarus Pit, but even that’s a little too easy. I think the “Arrow” creative team can make adjustments after some of their misfires, but first they need to realize where they’ve gone wrong. Sometimes, that’s the hardest thing to figure out. There's so much that can go wrong with a comic book inspired TV show that it's refreshing when a series is good out of the gate. The Flash is a very good series. Someday, it may even be a great one. I give a lot of the credit to Geoff Johns, the long time comic book writer who has ascended to the post of DC Entertainment's Chief Creative Officer. That means he actually has a say in how these DC characters come to life in live action. 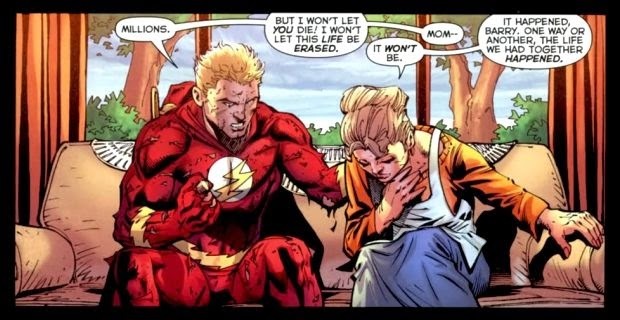 It was Johns who added the tragic element to Barry Allan's back story with the murder of his mother, Nora Allen at the hands of a time traveling Reverse-Flash. At the time, I was not happy with that change. The Flash is not Spider-Man! It gets really annoying when Spider-Man's tropes are given to other heroes who previously had their own identity. But the inherent problem of Barry Allen is that he is the most boring man alive. At least that's how he comes off in the comics, even in The New 52 reboot. But on The Flash TV show, Grant Gustin's Barry Allen actually feels like a living, breathing person. And this time, the Spider-Man vibe really plays well. Even the Flash theme reminds me of Danny Elfman's Spider-Man music. 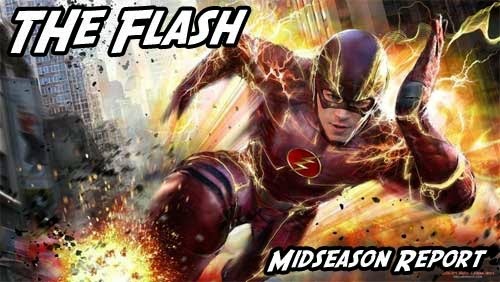 Although this is Flashback Universe's midseason report for The Flash, the primary focus is going to be on episode nine: The Man In The Yellow Suit. From this point on, there are spoilers ahead from the midseason finale. I am assuming that everyone is current with The Flash if you keep on reading. 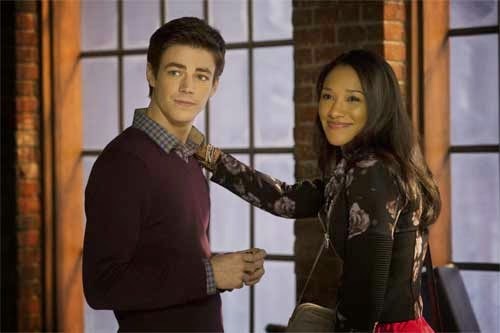 The Flash TV series has kept Johns' back story about the murder of Nora Allen. But more impressively, it's built up Reverse-Flash into a truly effective villain. And I have to give the show bonus points for giving that role to one of the best actors on the show: Tom Cavanagh. From the end of the episode, we are meant to infer that Cavanagh's Dr. Harrison Wells is the Reverse-Flash. It's not a perfect fit, as Wells' actions have shown his desire to protect Barry, even if he only wants to ensure his own future. It also requires Reverse-Flash to be in two places at once. Or possibly two different people. Wells killed Simon Stagg to protect Barry and he encouraged Plastique to kill General Elling before he could threaten Barry and others like him. On the other hand, only Wells knew that Detective Joe West had reopened the Nor Allen case. Shortly thereafter, Reverse-Flash paid Joe a visit and stole all of his evidence at super-speed before threatening the life of Joe's daughter, Iris. The creative team of this series have done a terrific job of conveying how frightening that Reverse-Flash can be to people who don't have superpowers. 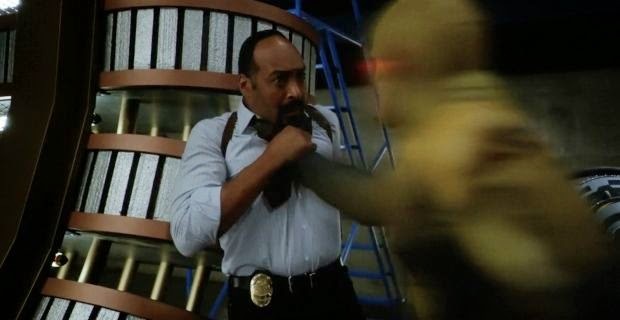 Even Barry is completely outclassed and overpowered by Reverse-Flash. Any good hero needs a villain who can truly challenge them. And we've got that here. In the midseason finale, both Gustin and Martin delivered their best performances to date. Martin is just an amazing actor. The words given to Joe West aren't always well written, but Martin sells it with such convincing emotions and gravitas that it resonates. Gustin has also been very good as Barry. This episode gave Barry a chance to pour out his heart to both of his dads and to Iris (Candice Patton) and all three scenes worked. I am less sure about Patton's abilities as an actress. But the show hasn't done any favors for her by making Iris into Laurel 2.0 (for all of you Arrow fans). Making Iris into The Flash's cheerleader feels like tired material barely halfway through the season. And I'm already bored with Barry pinning for her heart. Another problem with the show is that two key members of Team Flash are severely underdeveloped. Barry, Joe and Wells get all of the really juicy material while Caitlin Snow (Danielle Panabaker) and Cisco Ramon (Carlos Valdes) are barely characters at all. They exist only to give Barry exposition, scientific explanations (well, comic book science) and give him someone to play off of. The show has halfheartedly given Caitlin a tragic backstory in the form of her lost fiance, Ronnie Raymond (Robbie Amell). Comic fans know him better as Firestorm. Despite claiming to have no idea who Caitlin is or even his own name, Robbie stalks her in this episode until she finally sees him. 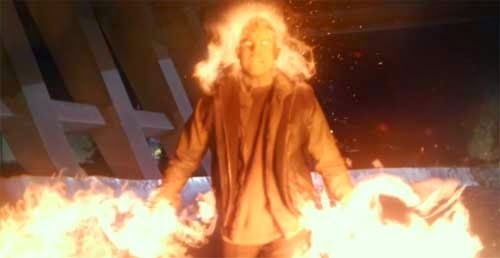 However, the first two Firestorm scenes have such sloppy editing that it feels like important moments were skipped over. That is not the way to make us care about Ronnie or Caitlin. Out of nowhere, Ronnie shows up just in time to save Barry from the Reverse-Flash. In terms of the plot it makes no sense... even if Robbie only came to save Caitlin. But then how would he have even known to come? Basically, this only happened to keep Reverse-Flash as an unstoppable threat without killing Barry or his friends. I haven't really dealt with Rick Cosnett's Eddie Thawne because he annoys me. But the midseason finale may have given him something interesting to play. Eddie realizes that the Reverse-Flash could have killed him... but didn't. If the show follows the comic here, it could mean that Eddie is Wells' ancestor... or Eddie may become a Reverse-Flash as well. The midseason finale had some shortcomings, but this was a satisfying way to closeout the opening episodes. I am excited to see where The Flash goes from here. Since the last time I posted we now have a title and a teaser trailer for Star Wars Episode 7: The Force Awakens! The title is good: very vague as the first subtitle to all the Star Wars movies have been: “A New Hope” and “The Phantom Menace”. You really get very little insight to the movie with these titles but when the movie’s over you think, “Oh! Now I get it!” The only kind of speculation I can form from it is that there may not have been that much going on in the past 30 years since the destruction of the Death Star II, at least “Wars” related. This doesn’t bode well for the diehard EU (expanded universe) fans but again, just speculation on my part. But forget about the title, let’s talk about the trailer! The trailer is broken upon into quick sections, let’s go over each one. 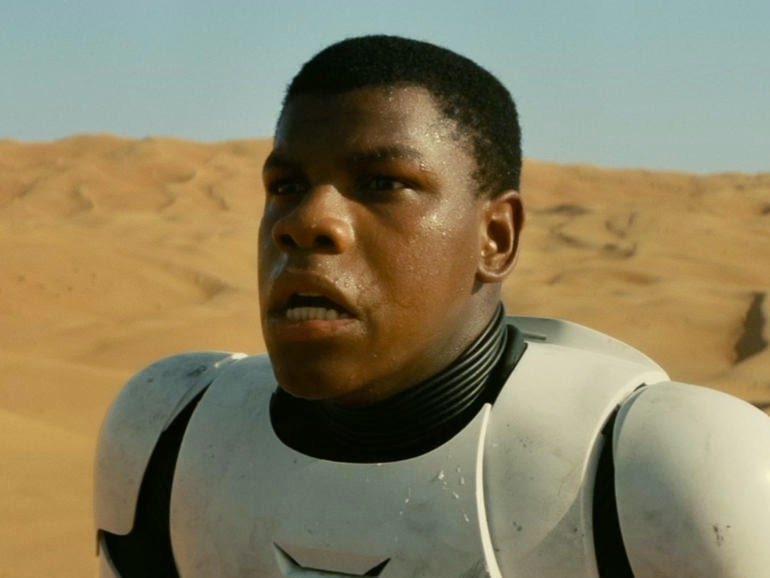 The trailer opens with John Boyega’s character seeming to be chased around Tatooine? (Looks like twin suns, and what Star Wars trilogy wouldn’t be complete without a trip to Tatooine). This was very appealing to me. It’s crazy to see a Storm Trooper without their helmet on, let alone showing any emotion at all. This is the first time we’ve ever seen this. This also solidifies the fact that, just like in the EU, at some point clones were replaced with regular people. It still remains to be known How, Why, and When. You can also hear the sounds of a probe droid behind him. It seems like he may be defecting. Maybe he finally realized the Empire was evil? It’s also important to know that he is billed as one of the new leads for this iteration and more than likely this trilogy. The trailer then moves to this little guy. Could he be the new Astromech droid? I, personally, feel like there’s no replacing R2-D2 but they can try. Also note what looks to be Pod Racing Engines in the background. This also feeds my theory that this is Tatooine. 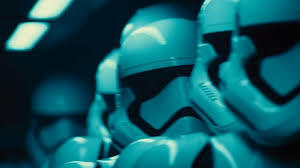 After that, we get a look at the new Storm Troopers. Just enough changes to feel new and old at the same time. I dig the new design. This part of the trailer was also very cinematic. I feel it may set the tone for what the whole movie will be like. It feels very different from either trilogy but that isn’t necessarily a bad thing. 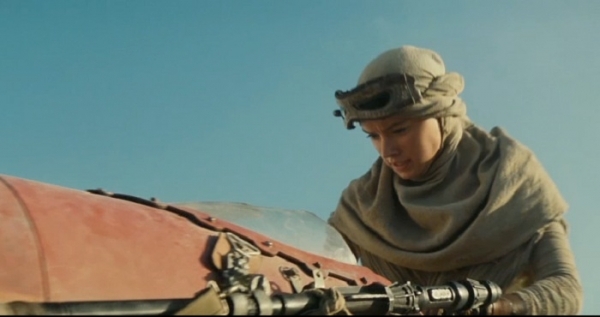 Then, we move to Daisy Ridley’s character who, I’m really hoping, ends up being the daughter of Han and Leia. First off, is that a light saber or a vibro blade she has attached to the speeder? Maybe being trained by her Uncle Luke on Tatooine in Uncle Ben’s old home?! Sigh… A Fanboy can dream, can’t he? 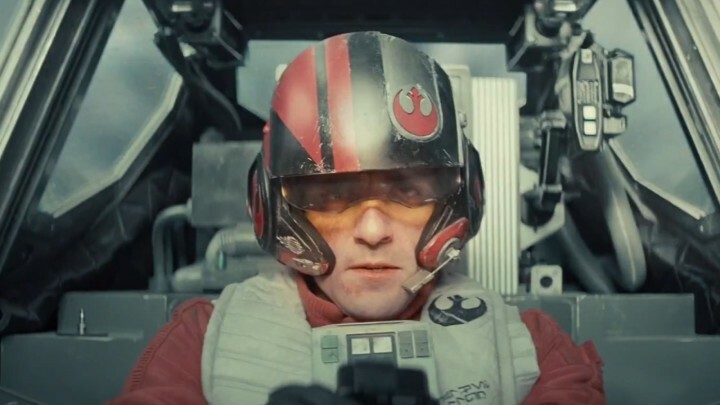 Then, we have the quick X-Wing above water scenes with Oscar Isaac’s character piloting one of these beauties. This scene was my favorite. It was beautiful and nostalgic. Also proof that X-Wings work fine on land as well. There is some mild differences in the new version of this famous Star Fighter. The Wings themselves are a bit different. They are half the size of what they used to be and when the S-Foils are closed they seem to form one wing. As compared to the two wings on top of each other from the Original trilogy. 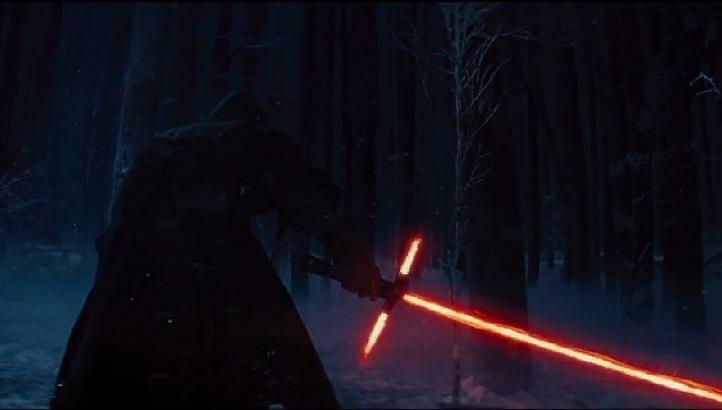 Now, the most talked about portion of the trailer: the new villain and his new style Light Saber! A lot of people think this awesome new broad sword saber wouldn’t work. I completely disagree. I actually believe it maybe an Ancient Sith Weapon with some form of Plasma exhaust ports. Adam Drivers character (he may or may not be the character featured above) has been rumored to be hunting Ancient Sith Relics through the movie. I could go on about how it could work either way, but I think I’ll share this video of Stephen Colbert breaking it down. Skip to 3:12 if you don’t want to watch the whole thing. I feel like he sums it up nicely. I also wonder if this character is even a villain. We all just assume he is because of the Red Saber. I guess we will have to wait and see. And last but not least, nothing feels more like Star Wars than the Millennium Falcon and Tie Fighters! This is when we truly know we are back. If you didn’t have goose bumps before, you did by this point. The biggest thing to note here is the Falcon’s engine; much more defined. Then the trailer ends, and if you’re anything like me, you watched it 100 more times. 30 Years later, it seems the Empire and the Rebels (New Republic) are still going at it. Maybe there is some kind of peace that gets broken in the beginning of the movie? We don’t see any of the original characters but somehow it still feels like the Original Trilogy. Not a single scene of this trailer takes place in Space. Just something to think about. I think it’s going to be hard for me to see these Storm Troopers as the same in the Original Trilogy. It will be interesting to see how much of that time is referenced in this movie. Are there even any Clones left? This trailer delivered on all cylinders for me. I didn’t think I could be more excited for December 18th 2015, but I was clearly wrong. What did you think? Did the trailer send you flying to cloud 9 like me or did you dislike parts of it? 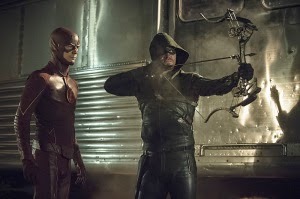 Editor's Note: Today, I am proud to present a guest post by Blair Marnell with his thoughts on the Flash/Arrow crossover episodes. Blair Marnell is the TV and Comics Editor of CraveOnline and a freelance writer for ComingSoon.net and SuperHeroHype. 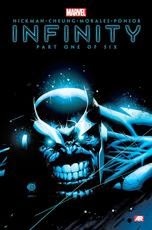 Previously, he wrote for Wizard Magazine, Geek Monthly, MTV Splash Page, Fan TV and Comics Bulletin. This past week, The CW ran a two night event between The Flash and Arrow that served as the first full crossover between each series. It’s a superhero fan’s dream. 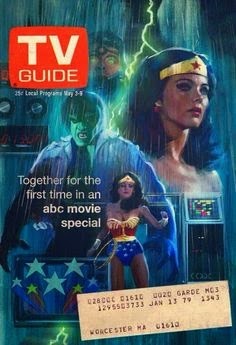 I wasn’t around for the ‘70s, but the closest TV equivalent I can think of would be if CBS had crossed over Wonder Woman and The Incredible Hulk when they were both on the network... ownership issues aside. CBS didn’t even give fans an Amazing Spider-Man and Incredible Hulk crossover, and that should have been automatic! Oddly enough, CBS ran the first TV series adaptation of The Flash back in 1990. But a few decades later, it Is CBS’ corporate sibling, The CW that has become the superhero network. Both Arrow and The Flash are now the signature shows of The CW that weren’t originally created for another network. But the thing that I found most striking about The Flash and Arrow crossover is just how much I like The Flash more than I like Arrow Season 3 at the moment. The Flash just feels like a more fully realized show at the moment and the third season of Arrow hasn’t quite found itself yet. This version of The Flash owes everything to Arrow. If Arrow hadn’t proven to be a hit, I highly doubt that there would be a Flash TV series on the network right now. After Green Arrow was proto-Superman’s substitute Batman for half a decade on Smallville, that’s a significant step up for the character in the eyes of the general public. One of the more obvious instances of Arrow’s influence on The Flash is the way that Team Flash was assembled before the end of the pilot episode. 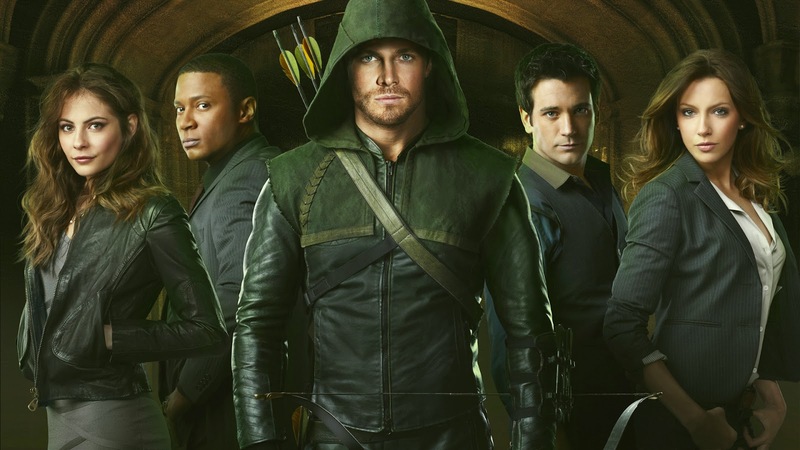 The Arrow creative team tried to run Oliver Queen (Stephen Amell) on his own for a few episodes before teaming him up with John Diggle (David Ramsey) and Felicity Smoak (Emily Bett Rickards) later in the first season. For Barry Allen aka The Flash (Grant Gustin), his team consists of possible future villainess Caitlin Snow (Danielle Panabaker), possible future hero (and annoying as f*** sidekick) Cisco Ramon (Carlos Valdes) and the enigmatic Dr. Harrison Wells (Tom Cavanagh). That dynamic shouldn’t work for The Flash, but somehow it does. Gustin has turned out to be a really good leading man and Cavanagh’s character has been the most intriguing addition to the Flash mythology. Caitlin and Cisco need better writing, but they’re bearable. Law & Order veteran Jesse L. Martin has been the most human character on the show as Barry’s surrogate father. Detective Joe West. I’m gonna save my Iris West (Candice Patton) rant for another time. But she’s this show’s Laurel, which Arrow fans should instantly understand. The Flash isn’t perfect, but it’s been amazingly solid through eight episodes. And the “Flash vs. Arrow” story of the eighth episode was the best one yet. The Flash writers wisely left the dead weight of Arrow aka Laurel (Katie Cassidy), Roy (Colton Haynes) and Thea (Willa Holland) off of the stage while giving Oliver, Felicity and Diggle the chance to shine on a different show. 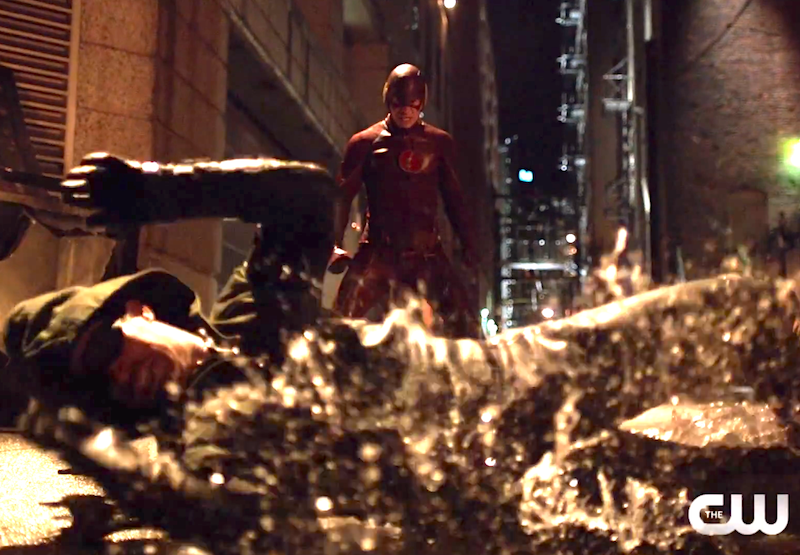 One of my favorite parts of the episode was Diggle’s reaction to Barry’s superspeed. That was especially effective because we’ve been watching Diggle on Arrow for over two seasons and it meant more to see him freak out about it than it would have for a random character whom we had never seen before. Rickards was also really good in the episode as Felicity was given a chance to actually be funny... which she seldom gets on Arrow. I think she’s a better fit on this series, but the Arrow creative team seems intent on following the fandom’s demand for an “Olicity” relationship. 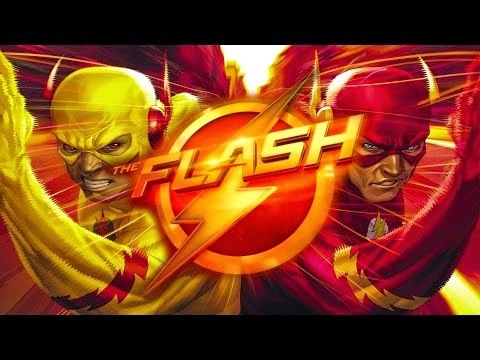 But the most compelling part of “Flash vs. Arrow” is that both Gustin and Amell had a chance to play off of each other in comedic sequences and in a very well choreographed fight between Arrow and the enraged Flash. For TV action, that may be the new standard for a superhero fight. Remember when Smallville would give us 30 seconds of Clark Kent fighting Doomsday and then cut away? That didn’t happen here. I have to admit that the biggest laugh of the episode for me came when Oliver and Barry took out the villain of the week so quickly that they did it during the final commercial break and he was already being locked up in STAR Labs when the show came back. 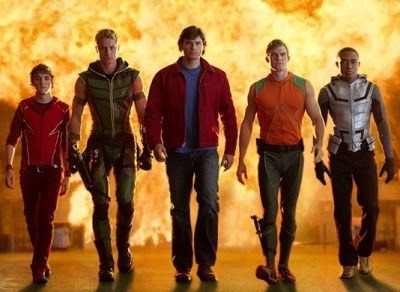 It should be said that Arrow’s side of the crossover, “The Brave and The Bold” was not a bad episode. It was just too consumed with being an episode of Arrow that happened to have The Flash in it. You’d think that the Arrow creative team would have used the special occasion to step away from the flashback structure for a week, but nope! We lost a few minutes of valuable screen time to Oliver Queen learning how to come to grips with torturing someone for the greater good. There is some dramatic potential in the way that Oliver has essentially absorbed the worldview of Amanda Waller (Cynthia Addai-Robinson), but that sequence was wasted in this episode. It was also unintentionally hilarious to see how the show went out of its way to make Captain Boomerang aka Digger Harkness (Nick Tarabay) into a credible threat to both The Flash and Arrow. It’s one thing for Boomerang to fight Oliver and Roy to a standstill, but to make him tactical genius who hid bombs throughout the city just to keep The Flash off of his trail?! And does the casting director of Arrow watch any other shows besides Spartacus? No, really. I want to know. Once again, the best part of Arrow’s side of the crossover was the interplay between Oliver and Barry. They really are fun to watch when they’re sharing the same stage and both Gustin and Amell deserve recognition for how well they handle their roles. 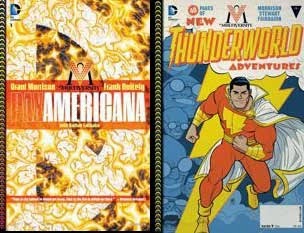 I still think that DC is making a mistake by not tying these shows into the movies. The DC Cinematic Universe of Man of Steel was a very joyless world. I want to see more of the TV world created by Arrow and The Flash. Despite all of the changes made to both characters, Arrow and The Flash feel close to the spirit of the comics that inspired them. Neither show is perfect, but we should all recognize how fortunate we are to be in an era when we have two terrific superhero dramas... on the same network.